My second Bottom Union Carp Caviar promo for this year’s game is a remix of another entry by the good people over at Common People. I think the Common People promo is one of the best and most disturbing of the Carp Caviar promos this year. We are working with a film about meatpacking for Next To Heaven — so, as you will see, the meat/mouth re-mix was irresistible to the alchemists here at Hopper Video. I posted this movie last year about this time in celebration of Thanksgiving. Welcome to the first Hopper rerun! I was going to do a special post for Hopper’s one year anniversary as a vlog (October 27) . . . but Ruby’s birthday is near Hopper’s birthday and I had to go to Dallas . . . yeah, yeah . . . who cares! Anyway, a year in and I still love vlogging. I think I’m in for the long haul. Here’s to all my new vlogger friends out there — thanks for watching. 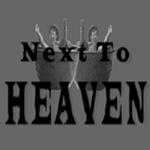 Check out the Thanksgiving post over at Next To Heaven. Last week I spent four days in Dallas, Texas. I met some young women in from Oklahoma for the Arrowsmith show. I ate a lot of red meat. And, of course, for you . . . I shot some video. Here is the first of a view videos from Dallas! This one features my daughter Ruby doing a post-production voice-over. The game is on over at Bottom Union again. Go on over there, get the skinny, and make your own Carp Caviar Promo. It’s fun, it’s easy — you can’t go wrong!!! A mash-up of lies from Bush, Rumsfeld, Cheney, Rice, and Tabacco Executives . . . Tabacco Executives? Huh? They lied, people died — check it out. And . . . VOTE!! !